E720 Single channel battery powered (1 ×PP3 size alkaline). Low battery indicator. Battery life (alkaline) approx. 80 hours. Dimensions 110 ×60 ×32mm. 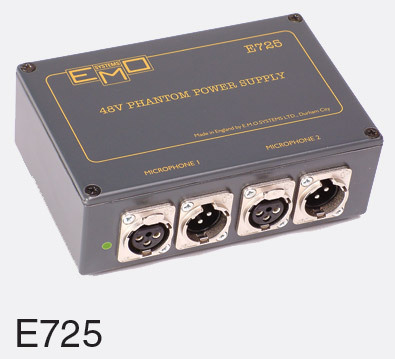 The E720 should be used with balanced microphone inputs only. 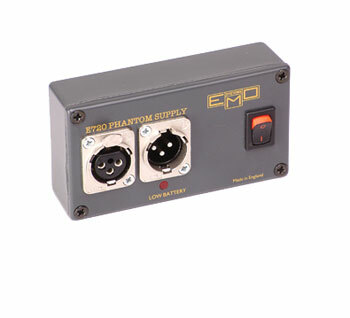 E725 Dual channel mains powered, 220/240 volts. Dimensions 145 ×100 ×50mm. All have XLR connectors, E725 has IEC mains connection.